It has been a hot, hot summer. Every year we buy a pool pass for our park district pool, and this summer we have really taken advantage of having a pool just down the street from us. Lily and Emmy have really become little fishes! 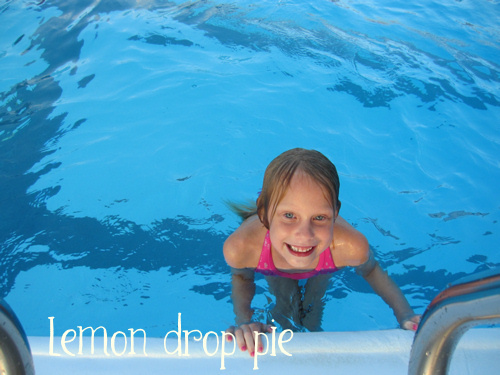 This is a summer of “firsts” in the pool for the girls. Lily has always loved water slides, but at the water parks we’ve been to, they end in shallow water. 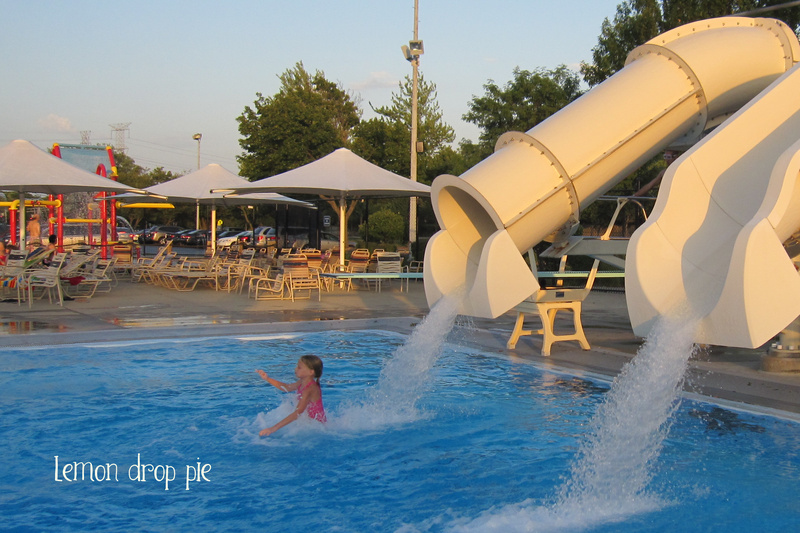 At our neighborhood pool, the slides go into 12 feet of water. Quite a difference! Emmy has wisely decided not to go down the slides until next summer. 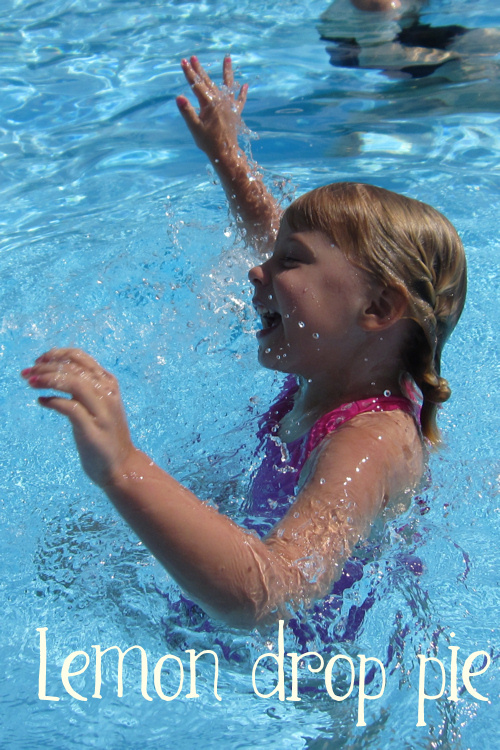 This is the first summer, however, that she has voluntarily put her head under water. She is jumping in and swimming, doing back floats and front floats. Yay for Emmy! Emmy jumping in the pool! Today is rainy and cool. Not a pool day. But hopefully, we will be able to have a few more pool days before school starts! Have you been swimming this summer? Where’s your favorite place to swim? Looks like fun and very refreshing. Love the slides. I am going to try out our pool here in the neighborhood. It's part of our maintenance fee so I may as well use it. I was swimming in Florida at my dads and I would like to keep up the exercise. I'm teaching myself to swim this summer! It's been a lot of fun but I wish I would have learned better as kid like your family. How great that you have a pool nearby! Swimming is such great excersise and a great way to stay cool. The gym I go to has an outdoor pool, and I've managed to get there a couple of times this summer. I just stopped by from SITS to say hello; hope you find time to do the same. We are blessed with a pond right next door at my in-law's where we can swim. But with the heat and super dry spell this summer, the pond isn't looking it's best right now. We also got a pass for the Y and have loved their little outdoor water park that they have! That flip video brought back happy pool memories for me. So much summer fun for your girls. Yay!